This five star lasagna recipe will rival a fancy Italian restaurant dish, that’s how good it is. It is absolutely world’s best! It is a little bit labor intensive but that just makes it even more special. I usually make it for the holidays or if we are having a party and i really want to impress our guests. 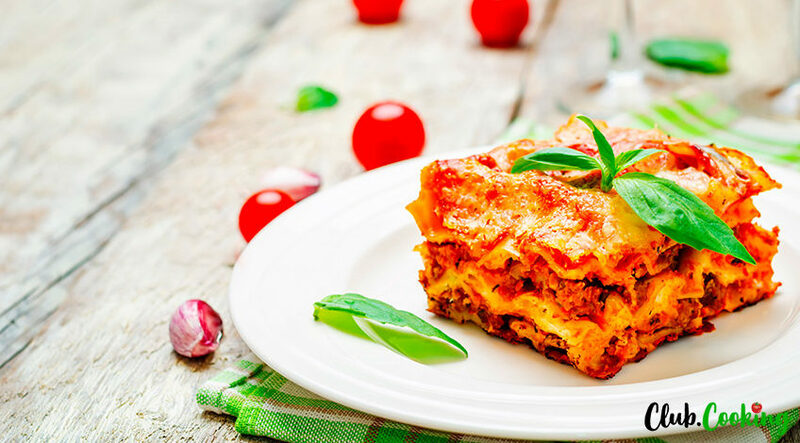 This lasagna is pretty traditional with all the classics components like noodles, bolognese sauce, ricotta cheese, freshly grated parmesan and mozzarella. 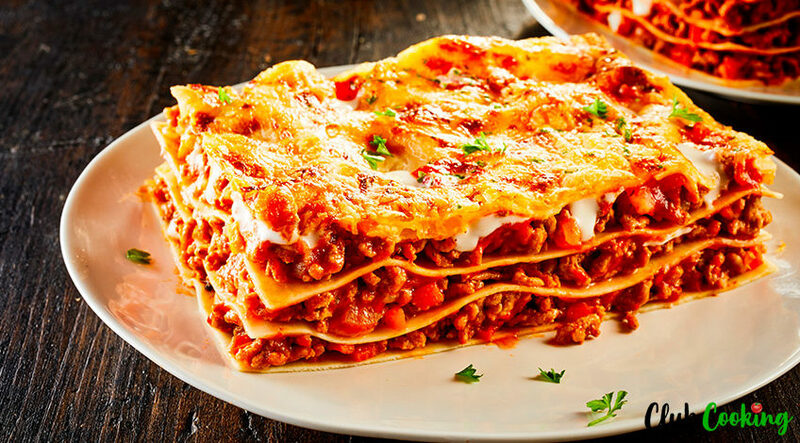 But I believe what makes this lasagna stand out is definitely the meat sauce. We are going to transform packages of ground beef and sausage into something magical over here. Developing those flavors takes a little bit of time. 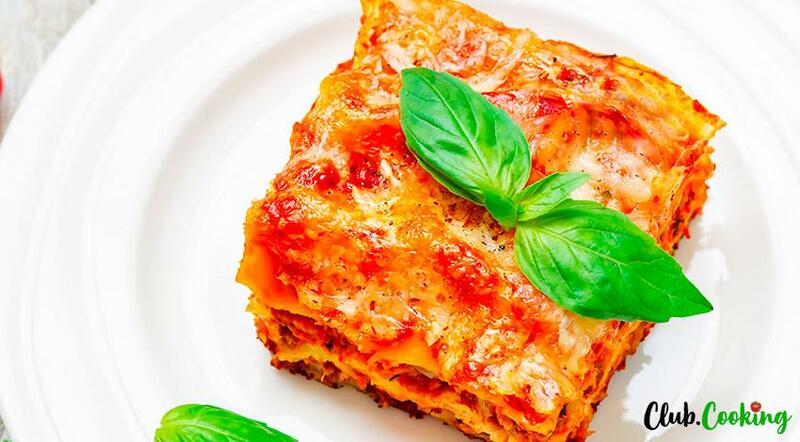 That’s is why I usually premake the sauce the day before, because this lasagna dish is already enough work as it is. I also use no boil noodles for the same reason and also because they soak in the sauce juices, absorbing some of the excess moisture, creating nice no fall-apart slices. 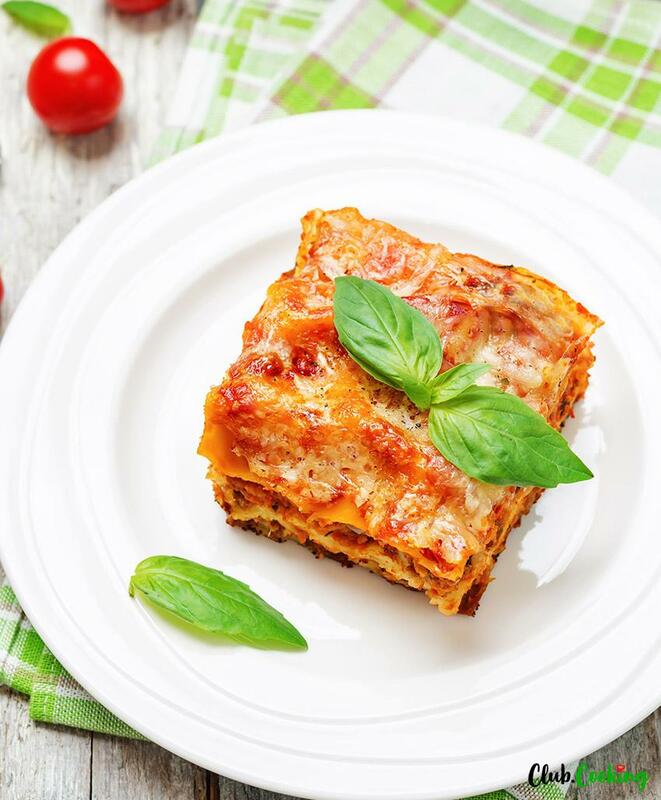 Fragrant garlic and onion, tangy rich tomato paste and aromatic herbs all amp up the sauce even more. And cooking it all together for an hour and a half lets all the flavors meld in together for a more complex and luxuriously rich taste. It definitely takes this sauce to the next level. It is a true show stopper . 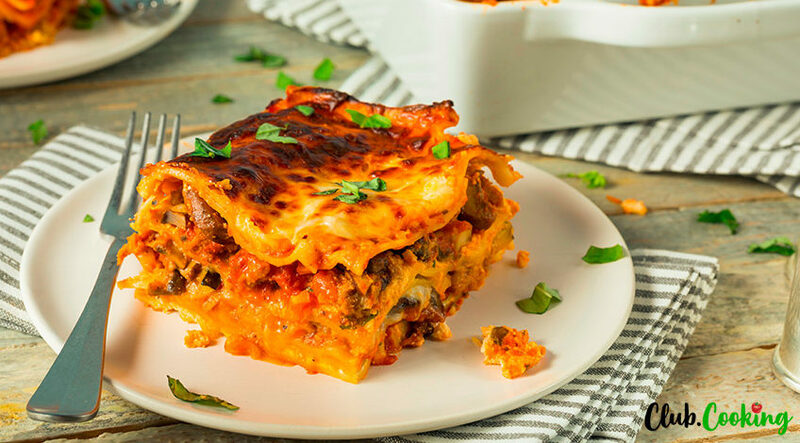 Every single bite of this delicious lasagna is cheesy, soul warming, cozy and filling. All the flavors and textures work in a perfect balance and harmony to create this truly irresistible dish. It is worth every minute you spend making it. I absolutely adore this dish. Making it may look like an ambitious resolution but believe me after making it couple times it will start going pretty quick and easy. 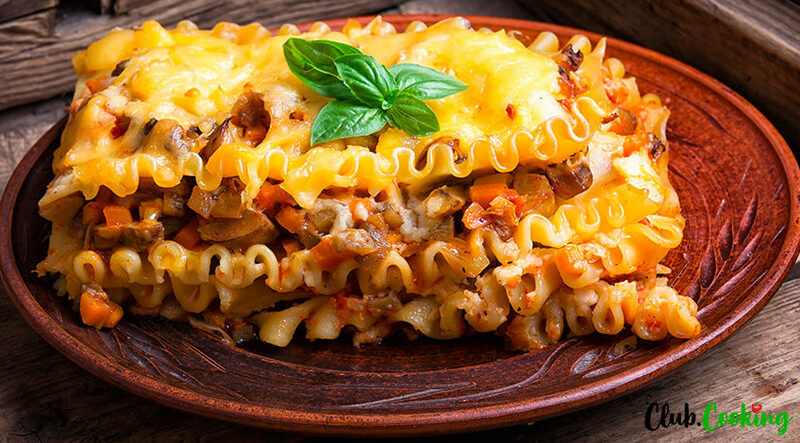 Rich and cheesy and satisfying. 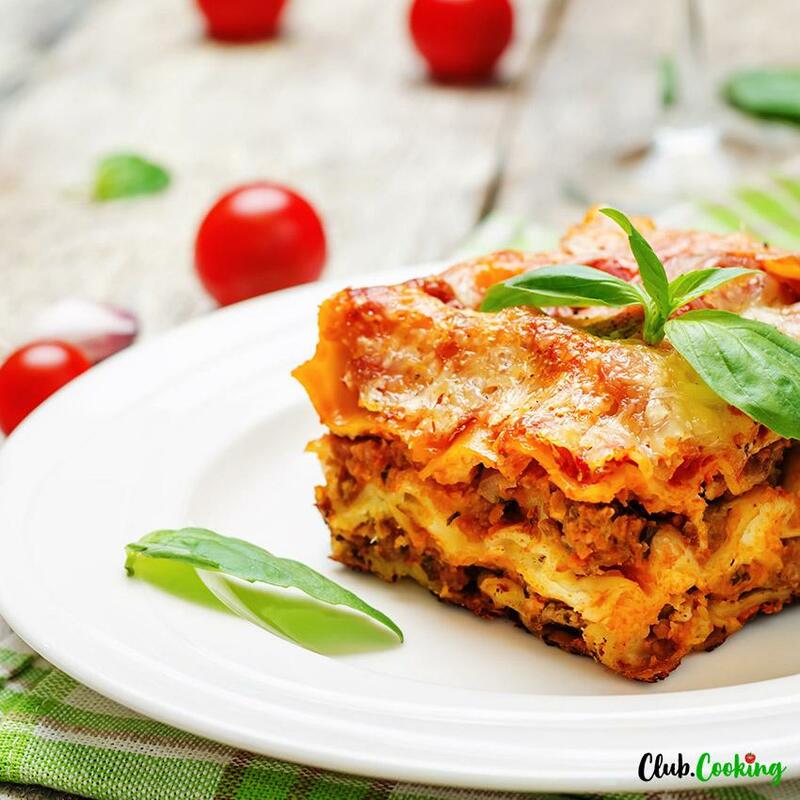 To assemble, spread 1½ cups of meat sauce in the bottom of a 9×13 inch baking dish. 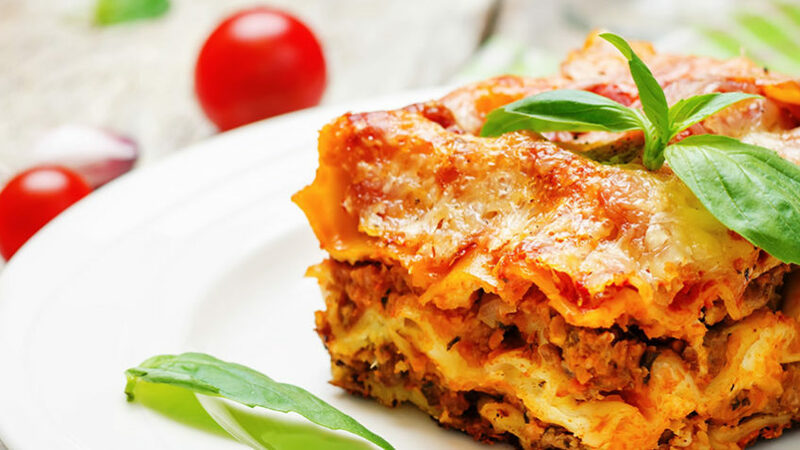 Arrange a single layer of noodles over meat sauce. Spread with one half of the ricotta cheese mixture. Top with a third of mozzarella cheese.